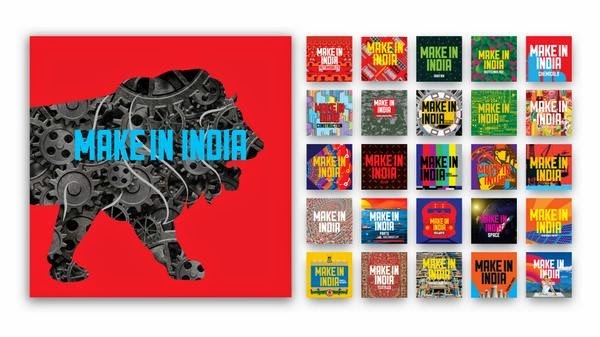 www.makeinindia.com - Prime Minister Narendara Modi has launched the new initiative called "Make in india" which he mentioned in his Independence day speech, to promote foreign direct investment in India. To get more investment in india. Update :- PM Narendra Modi to visit France, Germany and Canada from April 9-16, 2015 to boost Make in India Project, to get more investment to india Also, PM will visit Turkey this year to promote make in india,Turkish Ambassador to India Burak Akcapar confirmed it. .
PM modi has mentioned in his independence day speech from red fort of india, to boost investment in india, to create more jobs in india. Below is more information about Make in india campaign. In Make in india campaign, TOP CEOs of india including Mukesh ambani, shashi ruia, Kumar Mangalam Birla, Azim Premji, Chanda Kochhar, Cyrus Mistry and other 3000 companies CEO’s were present on the launch of Make in india. The Make in India programme, first mooted by the PM in his Independence Day speech last month, will lay emphasis on 25 sectors with focus on job creation and skill enhancement. The Centre's objective is to get manufacturing sector to grow over 10% on a sustainable basis in the long run. It has planned global outreach through a digital campaign. "We have liberalised the FDI regime. The idea is to send across the message to foreign investors that India is becoming a better place to do business," said the official cited earlier, requesting anonymity. Also, PM modi has launched site www.makeinindia.com which is emphasis on providing knowledge and rules regulation of FDI in 25 sectors in which india provide FDI. This portal will helps to get information about the FDI rules in india. This portal will also provide instant helps to investors. Investors will get answer to their query within 72 hours. Visitors registered on the website or raising queries will be followed up with relevant information and newsletter. Subsequent visits will be customised for the visitor based on the information collected. The government has identified 25 key sectors in which India has the potential of becoming a world leader. These sectors are Automobiles, Automobile components, Aviation, Biotechnology, Chemicals, Construction, Defense Manufacturing, Electrical Machinery, Electronic system, Food processing, IT and BPM, Leather, Media and Entertainment, mining, Oil and Gas, Pharmaceuticals, Ports, Railways, Renewable energy, Roads and highways, space, textiles and garments, thermal power, tourism and hospitality and wellness. There will be new Unit in ministry of commerce, called “Invest india” which will guide foreign investors about policy and regulatory to invest in india. India is looking for 10% manufacturing growth via “make in india” campaign. As more than 30 countries, 3000 companies and 25 sectors are going to be targeted. The reason Indian government is looking positive for Make in india Campaign is companies who invested in china is looking for alternative for low cost and low rish manufacturing. By promoting “make in india” PM is focusing on creating more jobs, more factories in india, low cost manufacturing, "Zero Defect; Zero Effect" policy. We wish india shine soon.